Goods - 유엔세계재활기구_5GHz 주파수 대역 사업영역 및 세계재난기금확보. 해상재난_국제항해선박장거리위치추적관리. 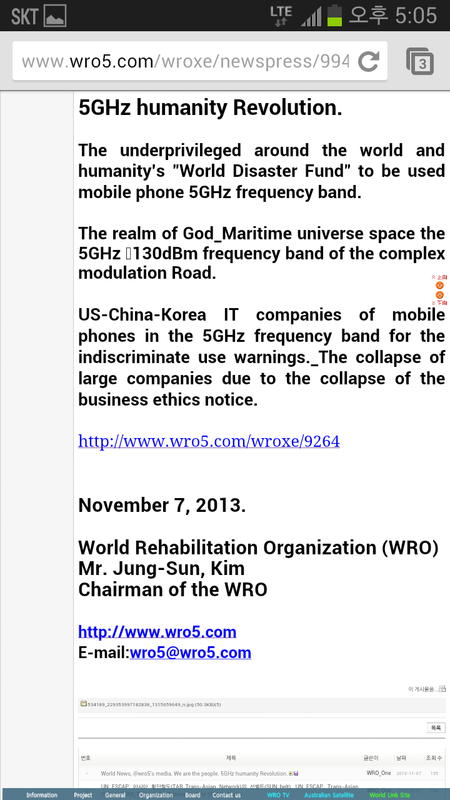 The United Nations World Rehabilitation Organization _5GHz frequency band business area and the "World Disaster Fund" secure. 유엔세계재활기구_5GHz 주파수 대역 사업영역 및 세계재난기금확보. 해상재난_국제항해선박장거리위치추적관리. 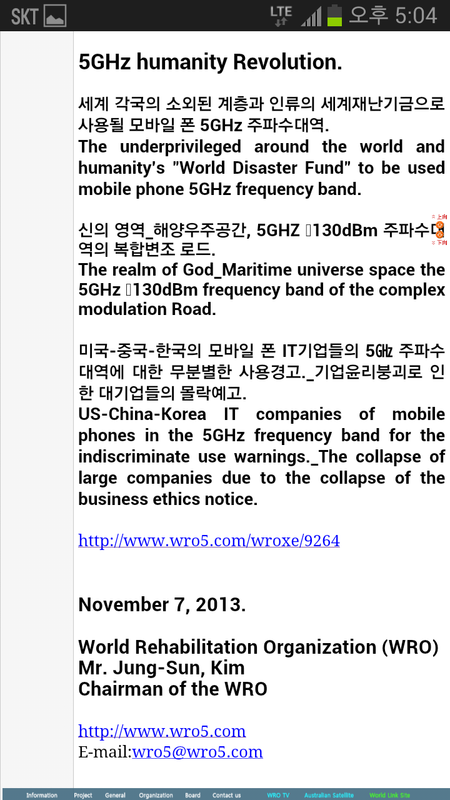 The United Nations World Rehabilitation Organization _5GHz frequency band business area and the "World Disaster Fund" secure. 유엔세계재활기구_5GHz 주파수 대역 사업영역 및 세계재난기금 확보. 5㎓ 주파수 대역 사업영역._국제항해선박장거리위치추적관리_RFID SYSTEM, UN ESCAP 아시아횡단철도(TAR_Trans-Asian Network) 차량관리 및 컨테이너관리_RFID SYSTEM, 세계 각국의 자동차 위성 네비게이션 관리_RFID SYSTEM, 세계 각국의 모바일 폰 관리 및 컴퓨터 내장하드관리_RFID SYSTEM, 세계 각국의 "사이버 페이스" 관리_RFID SYSTEM, 세계 각국의 물류운송관리_RFID SYSTEM, 등과 관련된 사업. 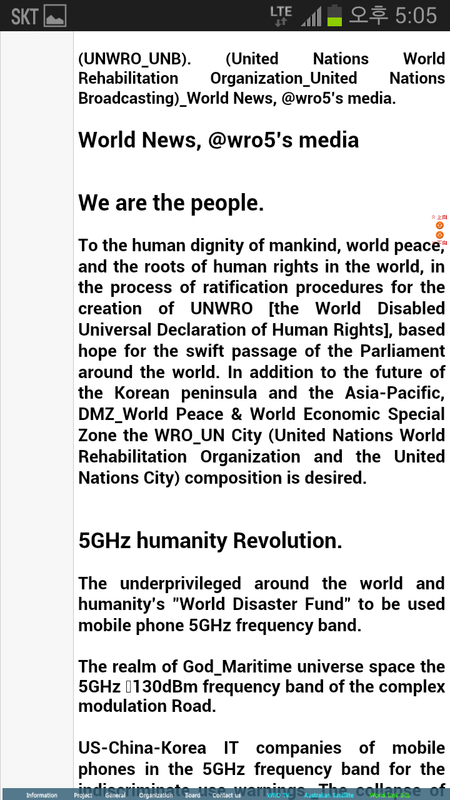 The United Nations World Rehabilitation Organization _5GHz frequency band business area and the "World Disaster Fund" secure. Maritime disaster._International long distance sailing ship location tracking. 5 GHz frequency band business area._International long distance sailing ship position tracking management_RFID System, UN ESCAP Trans-Asian railway vehicles and container-managed_RFID System, Around the world automotive satellite navigation management_RFID System, From around the world, mobile phones, Management, and computer internal hard Administration_RFID SYSTEM, From around the world, Cyber ​​Face management_RFID system, Logistics around the world transportation management_RFID System, Related to business. 22 유엔세계재활기구_5GHz humanity Revolution. 2013년12월19일. 한국정부, 5G 이동통신에 5천250억 투자계획 발표. 21 유엔 세계재활기구(UN WRO)_국제해사기구(IMO) 해양과학기술연구 국제협력 공동과제(안). 제주도 마라도_“유엔 국제해사기구(IMO)의 국제항해선박위치추적(LRIT)센터 총괄본부 한국유치” 추진. 20 유엔 세계재활기구(UN WRO)_국제해사기구(IMO) 해양과학기술연구 국제협력 공동과제(안). The United Nations World Rehabilitation Organization (UN WRO)_International Maritime Organization (IMO) Marine Science and Technology Studies International cooperation (joint project). 16 제주도 마라도_“유엔 국제해사기구(IMO)의 국제항해선박위치추적(LRIT)센터 총괄본부 한국유치”에 관한 협조요청.(요약). 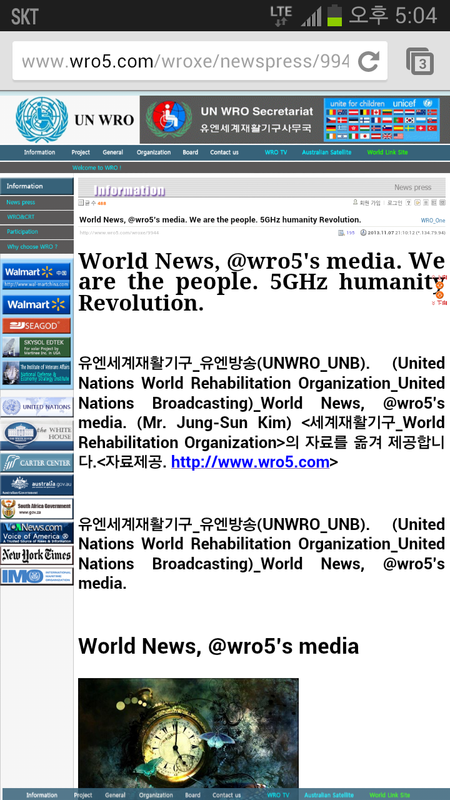 14 WRO(World Rehabilitation Organization) TV broadcasting station and ready_WRO(World Rehabilitation Organization) TV방송국을 준비하며. 12 The Royal House of Baloi_September 26, 2011. 66th UN General Assembly [the UN World Rehabilitation Organization] speech. 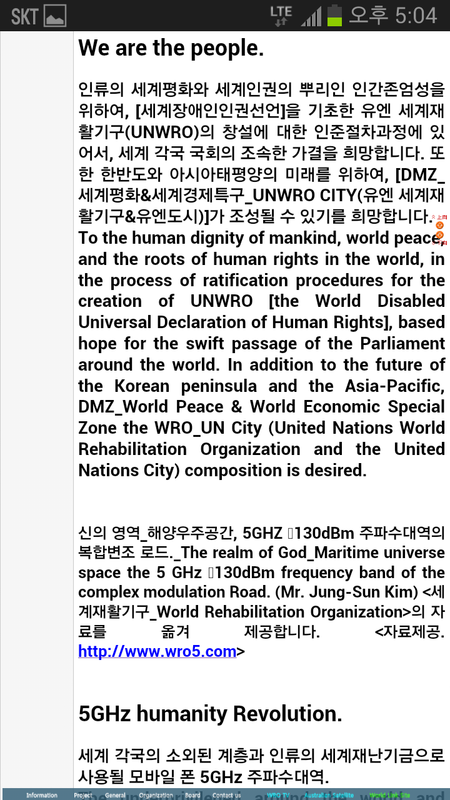 11 파주시 ‘통일경제특구’ 지정 건의_한반도 DMZ_UN WRO CITY(유엔 세계재활기구&유엔 도시) 유치._The Korean peninsula DMZ_UN WRO CITY(UN World Rehabilitation Organization&UN CITY) attract.